Dr. Gordon, a managing partner of Bluewater International, oversees our strategic client portfolio. He is responsible for strategic planning, client relationships, tactical delivery, and thought leadership. As one of our nation’s leading security experts, he has developed first-of-a kind, innovative educational programs and training, conducted cutting-edge applied research to understand critical societal problems, and advised leaders in Fortune 500 corporations and governments. Dr. Gordon has over three decades of experience addressing the emerging trends and the evolving challenges of economic crime, fraud and abuse, risk management, identity management, terrorism and cyber security. Dr. Gordon founded and led three national level public/private partnerships comprised of federal law enforcement and government organizations, major financial service, identity management, and cyber security corporations, leading universities, and non-profits. His thought leadership and development of key partnerships have provided partners and clients with insights and guidance in information sharing, policy development, privacy, managing regulations, and governance issues. Dr. Gordon possesses an exceptional ability to study emerging trends, forecast future challenges, and implement processes to solve them. In 1988, while a professor at Utica College of Syracuse University, he developed the first undergraduate major in Economic Crime Investigation in the United States, based on his observation and analysis of the law enforcement challenges caused by emerging financial and computer crimes. Recognizing the need that industry and government had for professionals with advanced study in this field, he developed an award winning Master’s Degree in Economic Crime Management in 1999, using a distance-learning format. For 22 years, Dr. Gordon has led public/private partnerships comprised of experts from academia, government, and the corporate sector in the study of critical societal problems, through collaborative applied research, symposia, and annual conferences. He co-founded the Center for Applied Identity Management Research (CAIMR) in 2008, serving as the executive director until it was merged with the Center for Identity at the University of Texas as Austin in late 2010. In June 2006, he founded the Center for Identity Management and Information Protection (CIMIP) and served as its Executive Director for its first seventeen months. In 1988, Dr. Gordon co-founded the Economic Crime Institute (ECI) and was its Executive Director until the end of 2007. 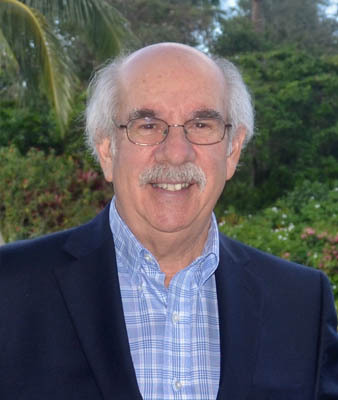 In all of these endeavors, Dr. Gordon’s leadership has changed the way we tackle major societal problems by fostering information sharing within and across organizations where it had not occurred previously, integrating policy with technology, emphasizing the importance of applied research, and by sharing the results through innovative educational offerings. From 2002 – 2008 he was a senior advisor to executives in LexisNexis Risk Management Group, an organization providing support to the government and intelligence communities. He provided thought leadership in the areas of information sharing, privacy, and the integration of policy and technology. He is the principal author of three LexisNexis identity management white papers/journal articles. His clearances allowed him to support a project with the Office of National Risk Assessment. He is a leading expert speaker who has made numerous domestic and global presentations. Dr. Gordon holds a doctorate in Counseling Psychology with an emphasis on organizational change from Boston University. His master’s degree is in Criminal Justice from the University of New Haven, and his bachelor’s degree is in Psychology from Clark University.